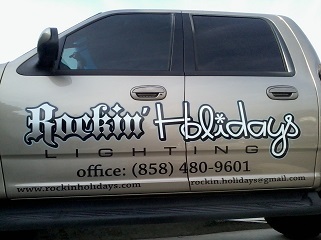 The owner of Rockin' Holidays Lighting has been in the Christmas Light Installation industry since 1996. Our focus has always been on making the installation and maintenance of your holiday display a stress free part of your holiday celebration. We are committed to give every client and potential client great quality service and products. 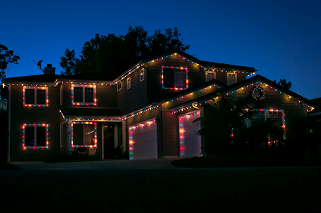 We want your experience with us to be pleasant and memorable and it is our goal to give you a hassle-free holiday decorating season. To make sure you receive the best experience available, we have specialized software that enables us take a picture of a house, decorate it and preview the results. This allows our client to preview their display before they order. We will be offering the computer design service by email this year for free.